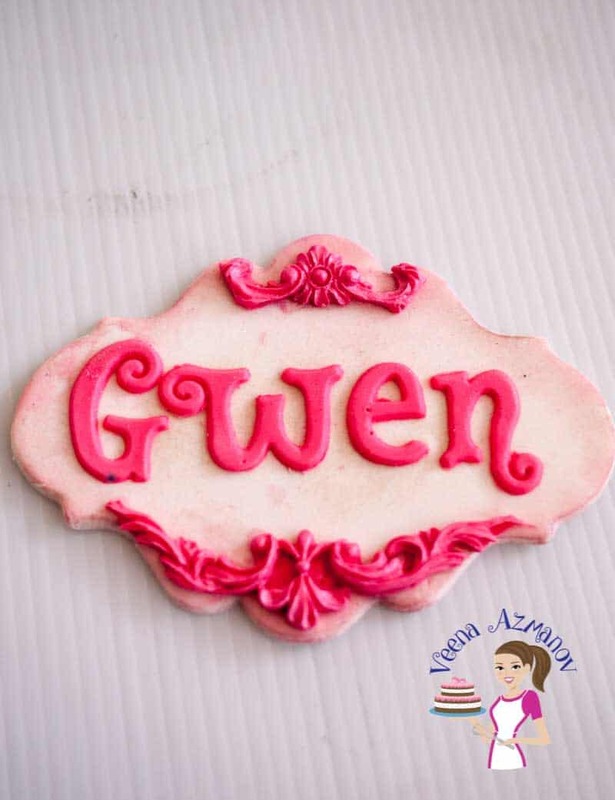 A great way to add a little more to your cakes is to create unique and beautiful Fondant plaques and name tags. 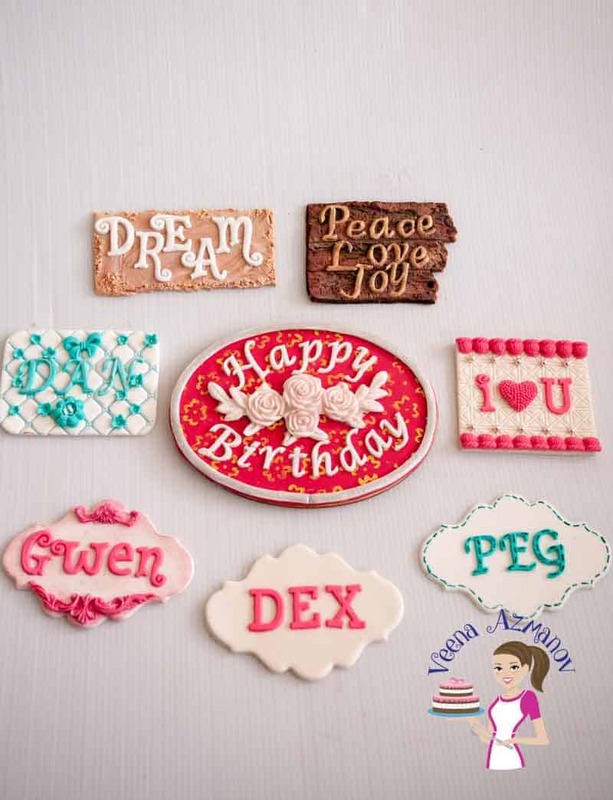 In this video I show you seven designs from vintage to stenciled so you can be more creative with your next cake. A few weeks ago I received an invitation from Marvelous Molds to try their new product. Something that really really gets me excited. New Cake TOYS!! Yeey! As soon as I got them of course I made a bunch of alphabets. Lots of them. Wouldn’t you go crazy receiving that bundle of joy? Now I have had a love hate relationship with alphabet cutters. No matter how easy they claim to be – with me…!! Duh…..!! But I love molds – if only I could show you my collection of silicon molds. Ah wait.. 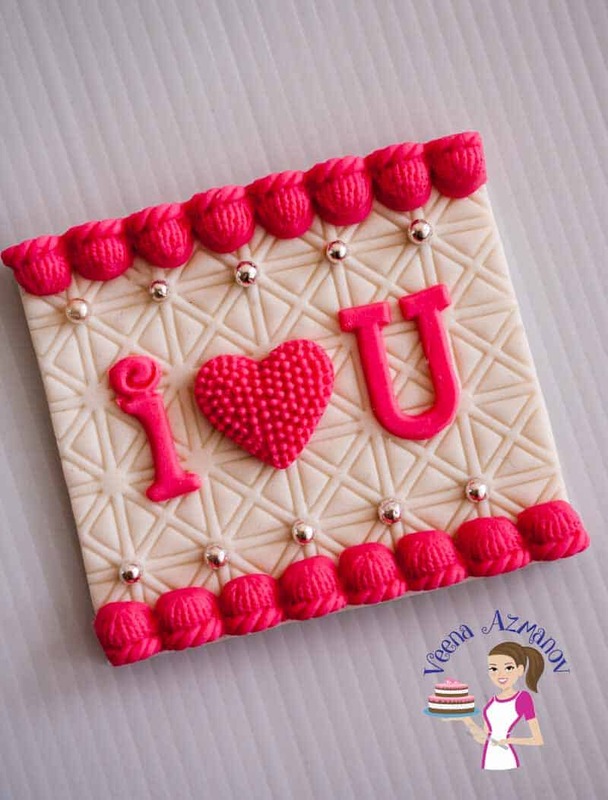 I always pin the molds I use on this Pinterest Board – Tool I use and recommend for cake decorating. Many I still have not used!! and some I have used over an over again. 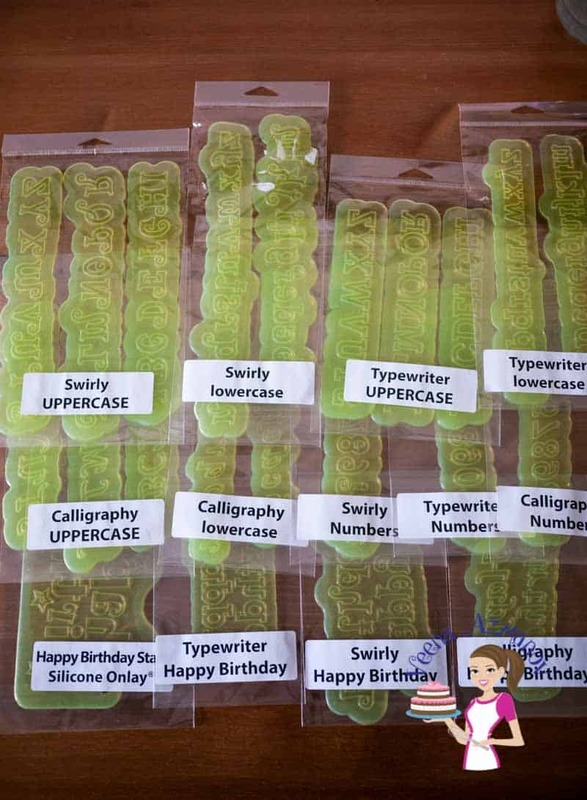 I think I have a post here on the blog on – How to use molds successfully. These were as easy as using any other silicon molds. And because they are Marvelous Molds – you can be sure they will work just as all their other molds do. Trust me. What was I suppose to do with all those alphabets I made? Not to mention I had all these ideas for Plaques and Name Tags flowing thru my head. You guessed it. 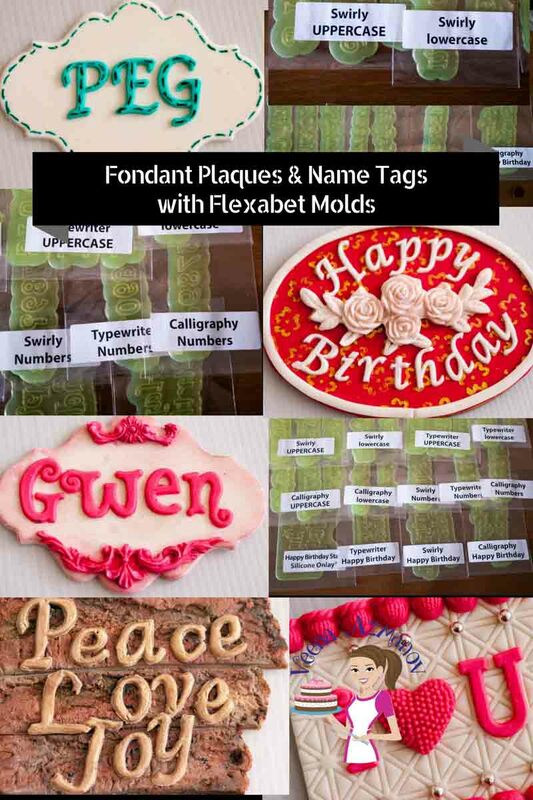 I made a video so I can show you creative ways to use these Flexabet molds. This year I promised to make a new video every week on my You Tube Channel – though recently I been posting more than one.. three this week!! I here ya…. no one’s complaining. .. This one is a long one (you know I don’t skip details) so grab a cuppa…. In the video and in all my post I always share with you details of all the products and tools that I’m using. 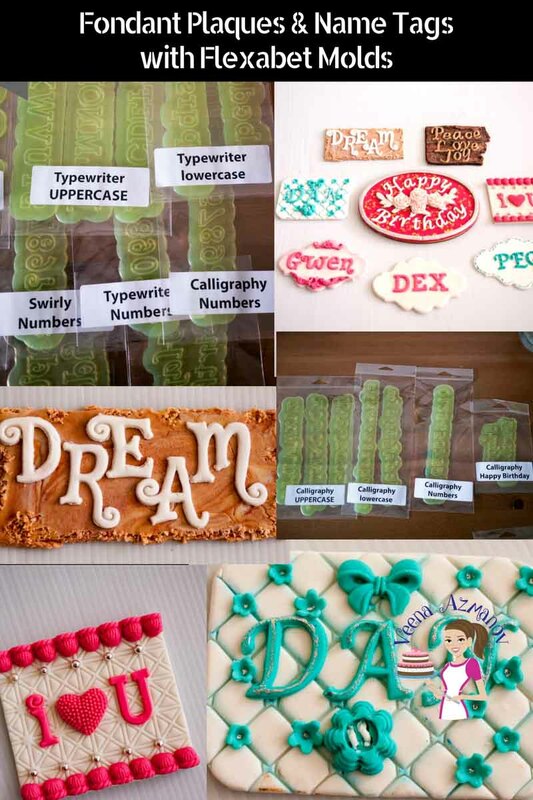 So first off let’s do the Flexabet Alphabet Molds because they are used in all these fondant plaques and name tags. 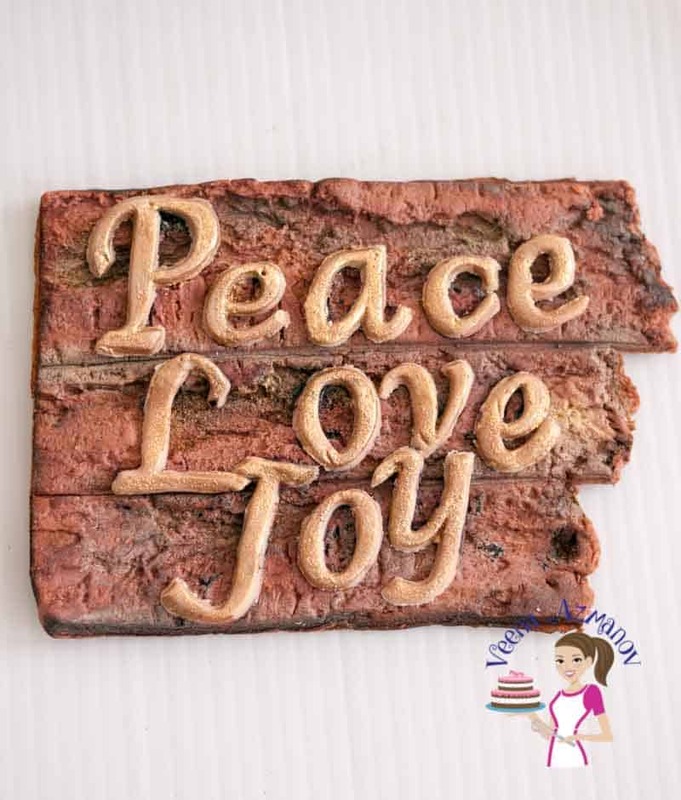 These are from Marvelous Molds and you can find them all here on Marvelous Molds website. 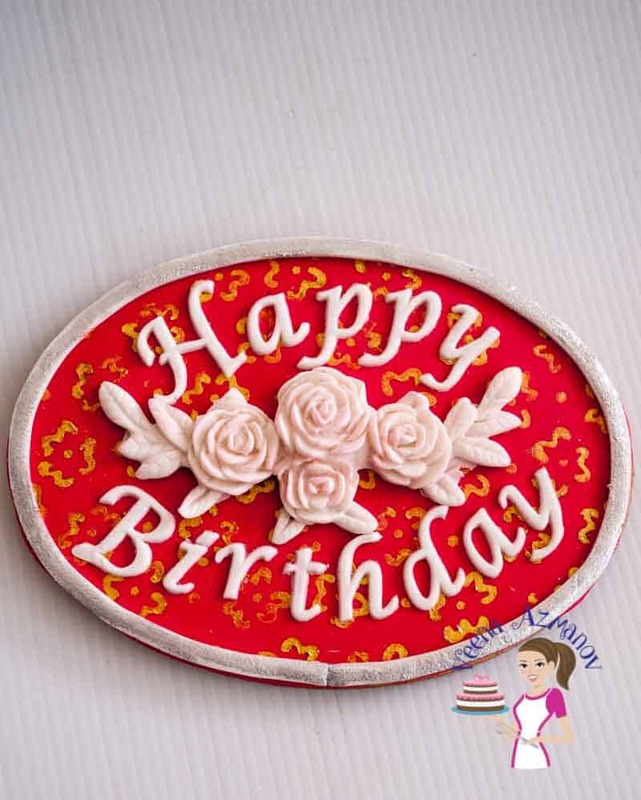 Happy Birthday Stars Plaque Onlay. Calligraphy Uppercase and lowercase for the alphabets. 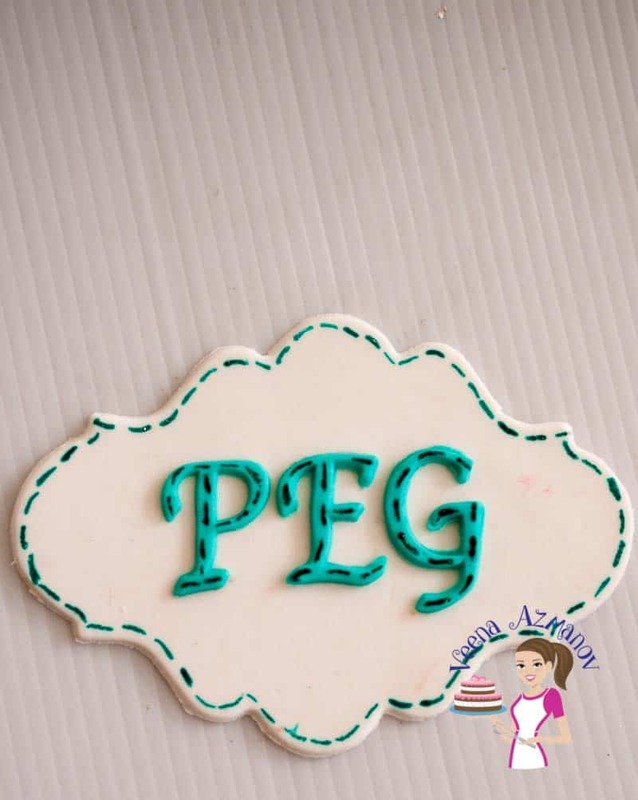 the Fondant needle tool to rough out the fondant and the alphabets. 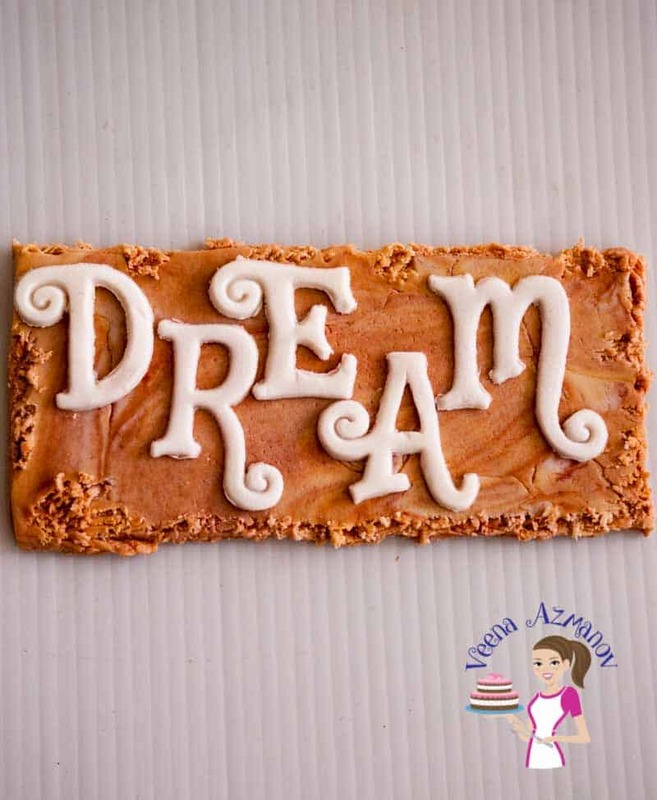 Be careful when picking on the alphabets – I found just scraping worked better than picking as I did on the fondant. As you can see in the video – I didn’t use any cutter for the plaque but you could use any of the ones I used above. Well I do hope you find this tutorial useful. I know it’s a bit long but hopefully worth watching for you. This is so amazing Veena – So unique. 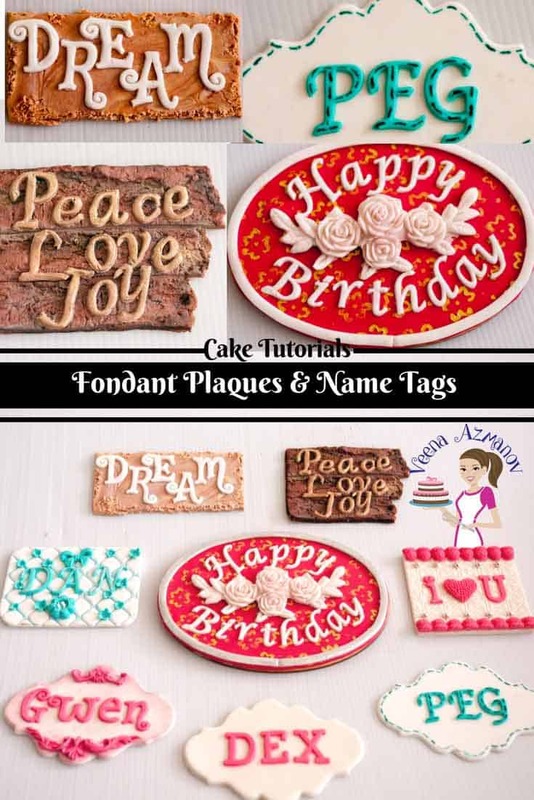 Not all cake decorators would take the trouble to spend so much time on a simple plaque but it sure is worth the effort. Thank you so much, Ark. Appreciate the kind words and support. These are so cute. What wonderful ideas! These look beautiful! 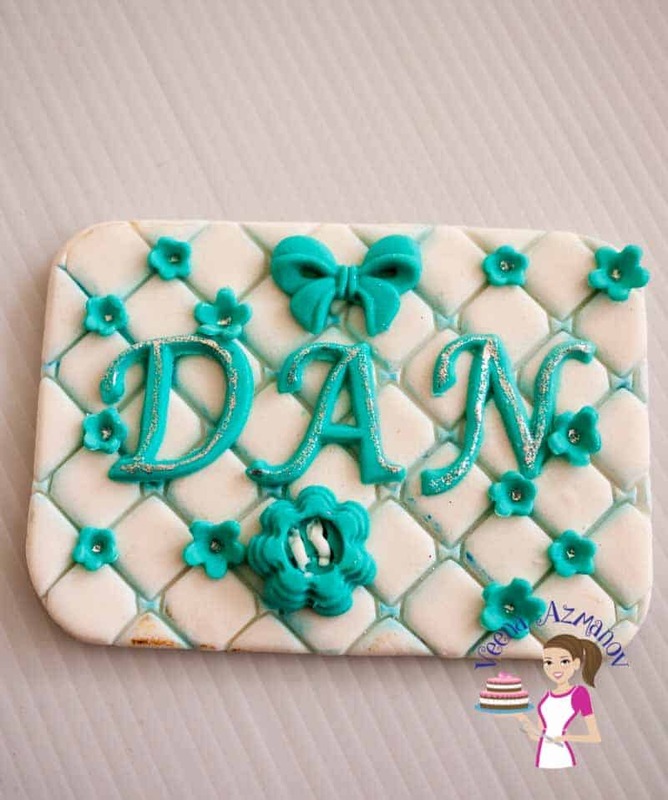 What a fun and personal way to spruce up a cake! I cook a lot, but when someone asks me to make a cake– it always looks so sad! I have no talent in this department! These are beautiful ideas. You are very welcome Julie. Thank you ! These are seriously so amazing! I’m heading over to marvelous molds right now to check their products out. 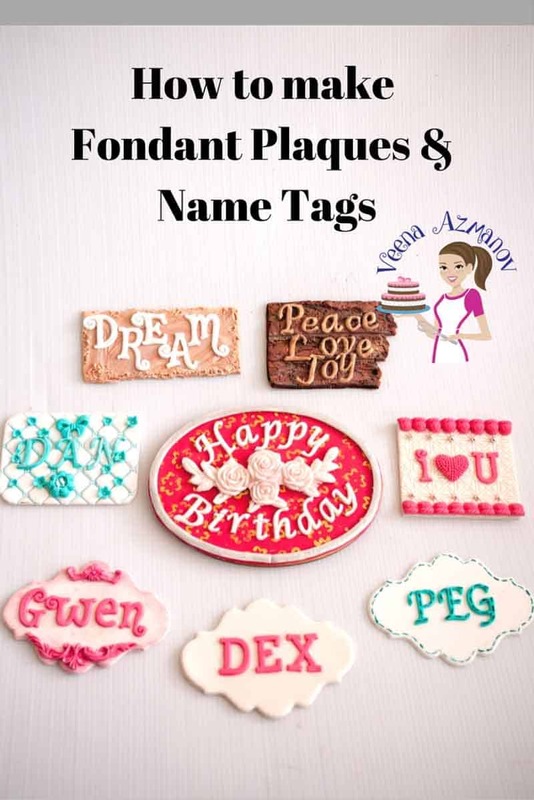 I had no idea these types of fondant plaques were even possible and I love them!